One of the big strengths of the Codefresh platform is the fact that it is cloud agnostic. Unlike other solutions that are locked to a single cloud provider, we support all major providers both for Git operations and Kubernetes clusters. Today we are releasing native integration with Azure DevOps Git repositories. This means that you can easily connect your code in Azure Git Repositories and start creating pipelines with Codefresh. With the introduction of Azure DevOps and the availability of free private repositories, we started seeing a lot of customers who wanted to use Azure for their Git storage but still create pipelines for CI/CD using the Codefresh platform. Codefresh already supports the major Git providers (Github, Gitlab, Bitbucket) and therefore supporting Azure repositories was the next natural step for us. 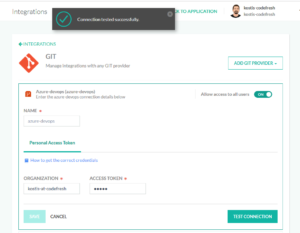 Step 1 – On the Azure side, you need to create a personal access token, which is the same thing that you would do if you wanted to give Git access to a shell script or external application. 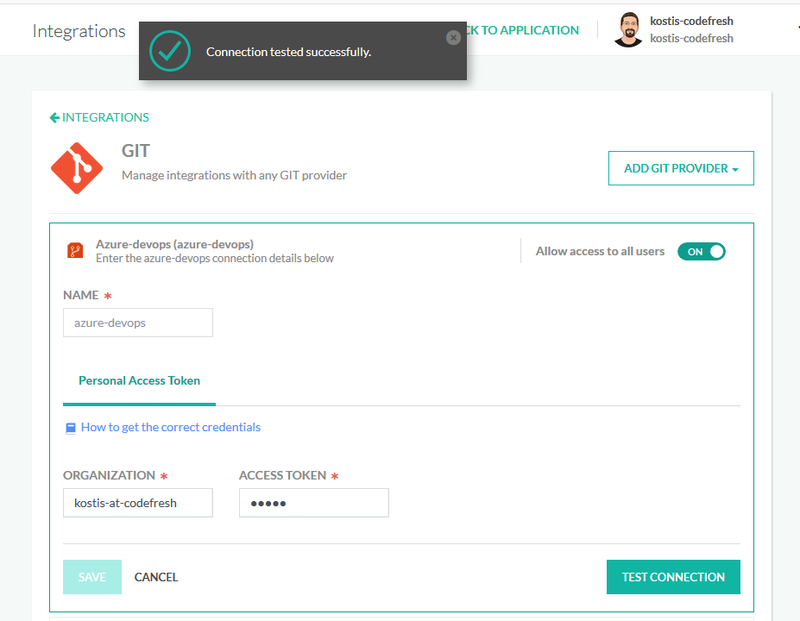 Step 2 – With the token at hand, you can now connect your Azure Git repository like any other GIT provider. 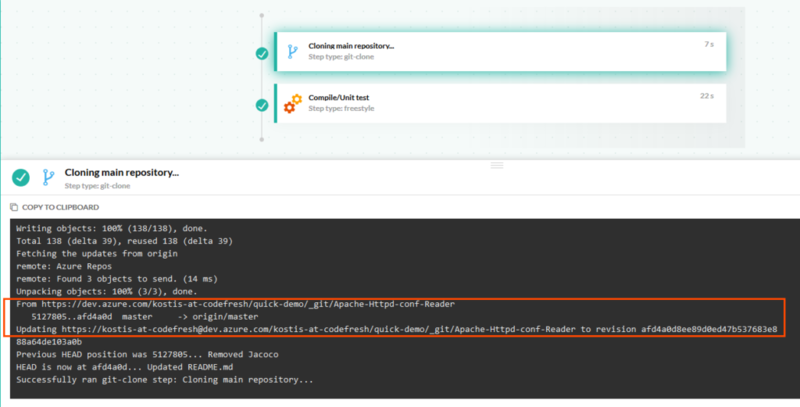 Now you can create any Codefresh pipeline you wish either with automatic cloning or your own custom clone steps. You can read the full details at the our documentation page.